What is 242BlqRze and what does it mean? See “About 242BlqRze” by clicking the link or hovering over the “Welcome” tab. 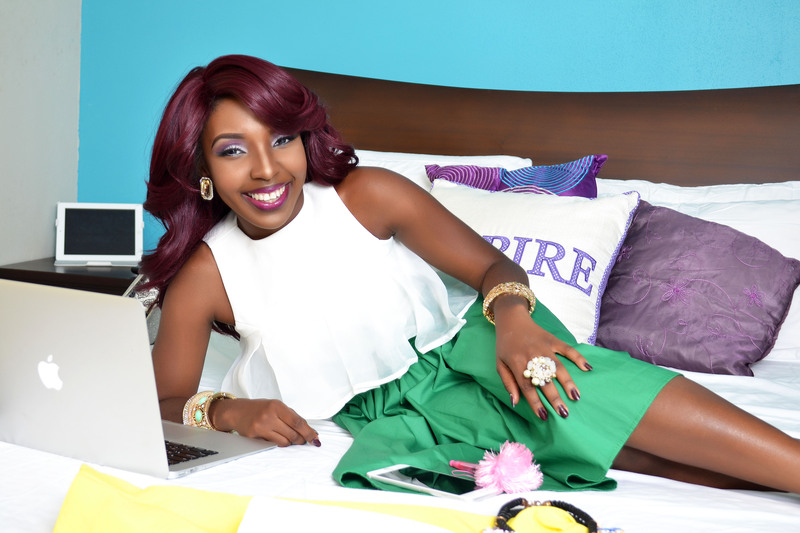 Why did you start a Fashion and Beauty Blog? Aside from my love for fashion and makeup, my friends, even from a young age, often asked me questions like: “How do you apply your makeup?” or “What top should I wear with which bottom and shoes?” So I figured it would be a lot easier to share this info with everyone all at once thru my blog and youtube channel rather than one at a time. I was born and live in Nassau, Bahamas. Most times I wear my real hair, which is relaxed and bra strap length. However, I do wear wigs and sewn in weaves. Who’s Fashion Style are you inspired by? I’m not inspired by one specific person or thing. I have my own personal style and I dress how I want to most days. However, I do admire celebrities such as: Lupita Nyango, Rihanna, Selena Gomez, Adrienne Baillon and their stylists. Who is your favorite Beauty Guru? Michele Phan – she inspired me to start my Youtube channel. I love her! What makeup brand do you use? I use most popular brands such as: MAC Cosmetics, BLACK OPAL, BH Cosmetics, and NYX Cosmetics. However, Black Opal’s stick foundation is my favorite makeup product. Colors: Black, White, and Purple. In that order.